But this year I’m not going to make another list. Instead, I’m going way back to the days before rock ’n’ roll, the 1920s and ’30s, to the era of hot jazz and the smooth crooner. I’m not claiming that there were any Roaring ’20s Roky Ericksons or Depression-era Rob Zombies. 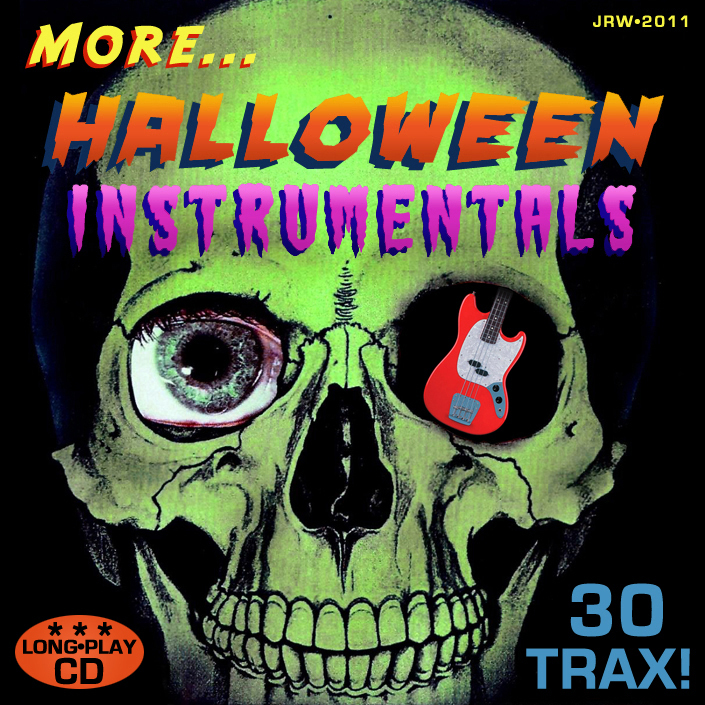 But every once in a while some singer got the bright idea of recording a novelty song about devils, ghosts, dancing skeletons, and other topics that were spooky and/or morbid. Many of these can be found in a compilation released several Halloweens ago on Legacy Recordings: Halloween Classics: Songs That Scared the Bloomers Off Your Great-Grandma. There are a couple of famous names on this 2007 collection that everyone should recognize: Cab Calloway (performing one of his many “Minnie the Moocher” sequels, “The Ghost of Smokey Joe”) and Rudy Vallée (who, in his best fake cockney accent, sings “With Her Head Tucked Underneath Her Arm,” a song about Anne Boleyn). While I can’t say I’m familiar with 1920s singer Fred Hall, I immediately recognized his contribution to this collection. “’Taint No Sin (to Take Off Your Skin)” was part of Tom Waits’ 1993 album The Black Rider. On Waits’ nightmarish version, author William S. Burroughs provided rather atonal vocals, encouraging listeners to “take off your skin and dance around in your bones.” Except for the lyrics, Hall’s version sounds like an archetypal upbeat speakeasy jazz number. I see visions of skeletons dancing the Charleston. So most of the performers here are lesser-knowns, and the songs they sing, for the most part, are even more obscure. The album starts off with a chipper little tune called “Hush Hush Hush (Here Comes the Boogie Man)” performed by British bandleader and BBC regular Henry Hall — who is more famous for “Teddy Bears’ Picnic,” which he recorded in 1932, the same year as “Boogie Man.” “Hush Hush Hush” begins, “Children, have you ever met the Boogie Man before/No, I’m sure you haven’t, for you’re much too good, I’m sure.” Then vocalist Val Rosing gives the kiddies practical advice on how to ward off the evil one. 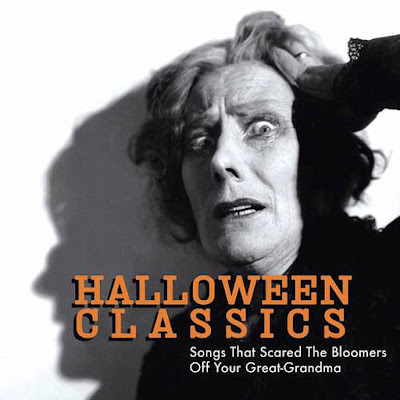 Halloween Classics has another song about the same guy, “The Boogie Man” by Todd Rollins & His Orchestra. Here the title character is something of a sexual predator, threatening “bad little girls like you.” Rollins croons, “I’ll torture you and hunt you/I’ve got you where I want you/A victim of my dark and dirty plot/And at the slightest whim/I’ll tear you limb from limb.” What kind of message does that send to the children? he other is “Ghost in the Graveyard” by The Prairie Ramblers, who later became more famous when they started backing up Patsy Montana. A couple of my favorites on Bloomers deal with a creepy old man named Mose. Rube Bloom and His Bayou Boys recorded “Mysterious Mose” in 1930. Later that year, a different recording of the song became the basis of a Betty Boop cartoon. New Orleans trumpet man Wingy Manone does another about “Old Man Mose,” whose main offense is that he died and was discovered by a neighbor not fond of dead people. This tune has been covered by Louis Armstrong as well as Betty Hutton. And there is also an obscene version (I’m not kidding) recorded in 1938 by Eddy Duchin’s band with singer Patricia Norman. Just like the best metal, psychobilly, and garage songs of modern times that deal with Satan, ghosts, and monsters, the best songs that scared the bloomers off our great-grannies were humorous ways of confronting our fear of death and other unknowns. They allow you to acknowledge your impending death and the boogeymen who haunt your nightmares. You can’t beat ’em, so join ’em. Dance around in your bones. ▼ Surfing spooks: Surf music and horror themes have gone together at least since the days of the 1966 teen beach flick The Ghost in the Invisible Bikini. 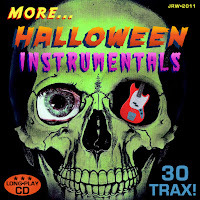 Portland visual artist J.R. Williams, who has been responsible for a ton of free retro rock ’n’ soul underground compilations, has a new volume of his Halloween Instrumentals series on his blog, featuring bitchen rock instrumentals interspersed with radio ads for cheesy horror flicks. Mostly there are obscure bands, but you’ll also find tracks by The Ventures, Duane Eddy, and R&B great Bill Doggett. And all eight (!) of my Halloween podcasts are at www.tinyurl.com/SpookyEnchiladas.